Here are some answers to often asked questions. If you can't find the answer here please contact me. Do you tune by ear or use an electronic tuner? I use a concert ‘A’ 440hz pitch fork initially and then set the temperament around this using the intervals, mainly fourths, fifths and octaves to tune and thirds, sixths, tenths, double and triple octaves to check. Electronic tuners are a distraction from the fine aural concentration required to do the job properly, slowing down and compromising the process. How often should a piano be tuned to keep it beautiful? At least once or twice yearly. Small adjustments to pitch help the piano to stay relatively stable. 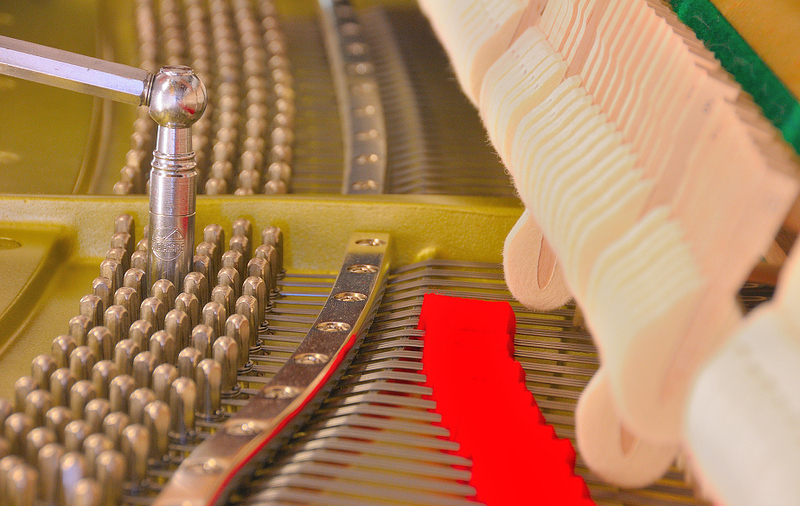 Pianos in large rooms such as auditoriums, halls and churches often require tuning more than twice a year due to the temperature and humidity fluctuations. How long does a standard tuning take ? How much does a quote cost ? I quote freely provided that my visit can be timed around other jobs in your location. What payment options do you provide ? We accept cash, cheque or EFT transfer on the day. 30 day accounts are available for business and institutions. Special arrangements can be made for students and pensioners.